Sushi, Tempura, Takoyaki, Ramen, Gyoza, Cherry Blossoms, Kit Kat Green Tea, Louis Vitton, and many more! I'm definitely sure that you're dreaming of Japan right now. If you are a contestant of a guessing game and the clues above are given, the answer to the question even though you haven't heard of it yet will be J-A-P-A-N! The land of the rising sun is one of the dream destinations/vacations of Filipino. 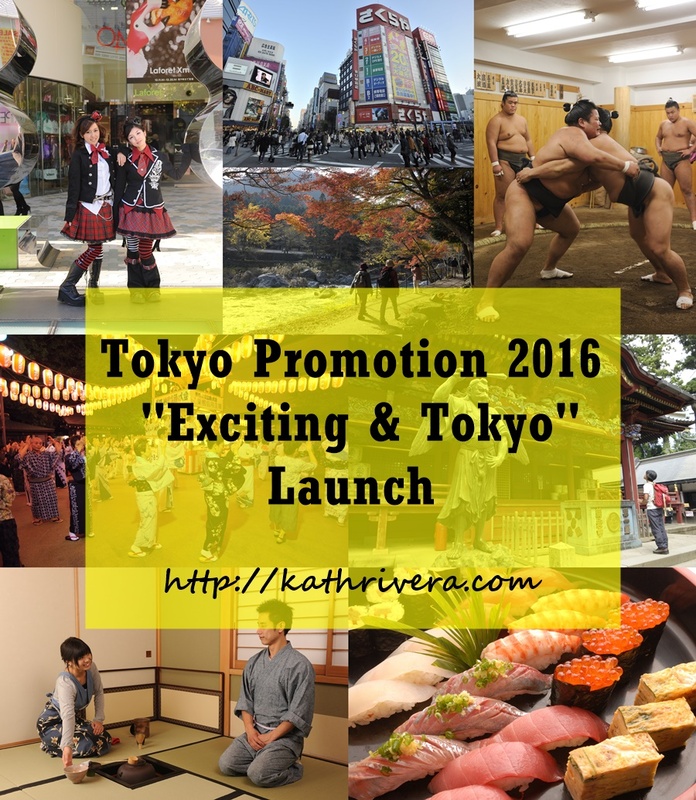 More and more Filipino travelers are visiting to Japan. The number has reached to 268,000 people in 2015, about four times larger than that of 2011. 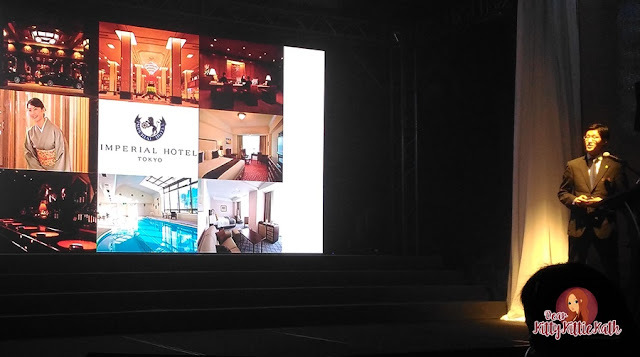 The main reason for the rise in numbers of visitors were due to a more ease in visa application 2013 with the "alleviation of multiple entry visa regulations" and also the "simplification of single entry visa application for participants of packaged tours organized by accredited travel agencies". 2. To visit "the gateway to Japan" which is Tokyo, the capital that played an important role more than ever to promote inbound tourism. 3. Tokyo Metropolitan Government is now working hard and doing various efforts to establish the “TOKYO BRAND" as a tourist destination.The Tokyo Metropolitan Government have launched the TOKYO BRAND logo and slogan "& TOKYO", last October which is expressing the brand concept of "a city that promises all kinds of fun by constantly generating new styles while bringing tradition and innovation together". 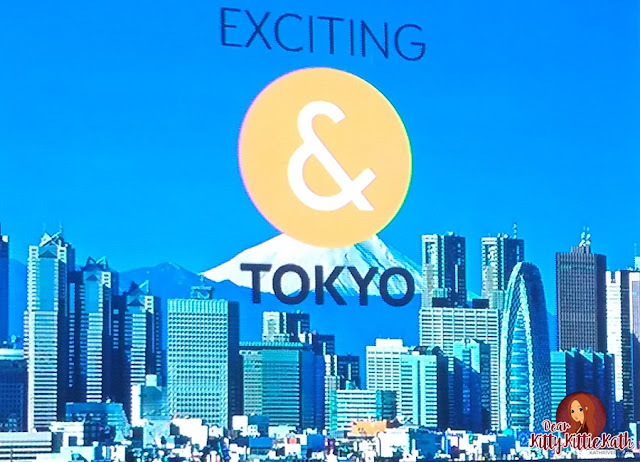 The ampersand character of "& TOKYO" expresses Tokyo's many ways of making "connections", in other words, their intention behind this logo and slogan is to express how Tokyo creates new kinds of enjoyment by forming new values and connections. 4. For the first time, they had a promotional event for travel agents and media in the Philippines to show the charms of Tokyo with the purpose of promoting the inbound tourism of Tokyo by using this logo and slogan. 5. 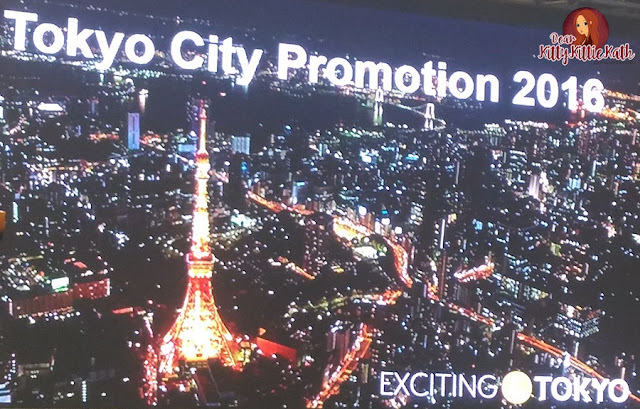 During the seminar, Tokyo Metropolitan Government also presented tourism related companies and organizations from Chiba prefecture and made several presentations to introduce the tourism information. The local governments of neighboring prefectures of Tokyo such as Chiba, Saitama and Kanagawa had their own stand to appeal each prefecture at the business meeting area for travel agents. 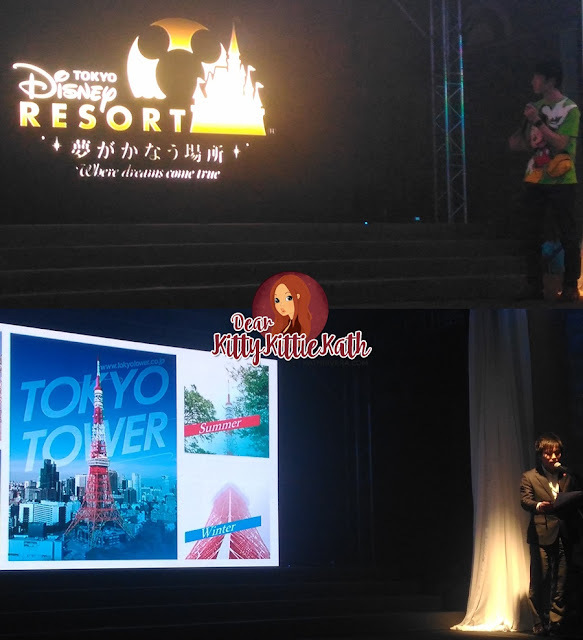 Mr. Roy promoting Tokyo Disneyland Resort while Mr. Takahiro Shimizu invites everyone to see Tokyo tower in Spring, Summer, Autumn, and Winter. 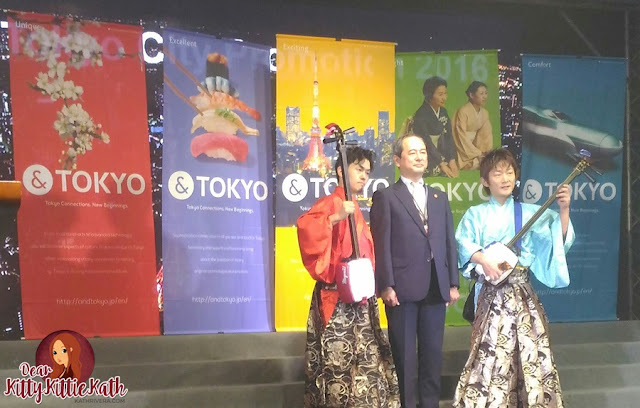 Delegates from Tokyo, Japan headed by Mr. Tsuchibuchi offered not only the latest information but also the easy-to-understand performative attractions like the Japanese traditional instrument called shamisen and tea ceremony demonstration. The shamisen performers "Se-shami street" showed us awesome and one-of-a-kind performances that day. 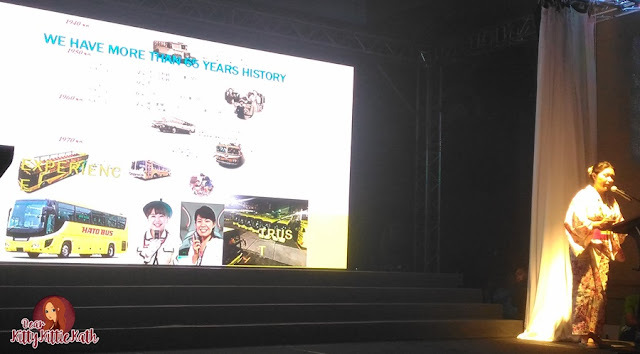 With the theme "Exciting", one of the unique values of Tokyo's as a dynamic and energetic city which is constantly evolving, and with recognition of the interests of the Filipinos, we think that we could successfully promote the tourism of Japan. Thank you so much to Tokyo Promotion 2016 team for having me. I learned a lot during the seminar and event you've prepared for us. 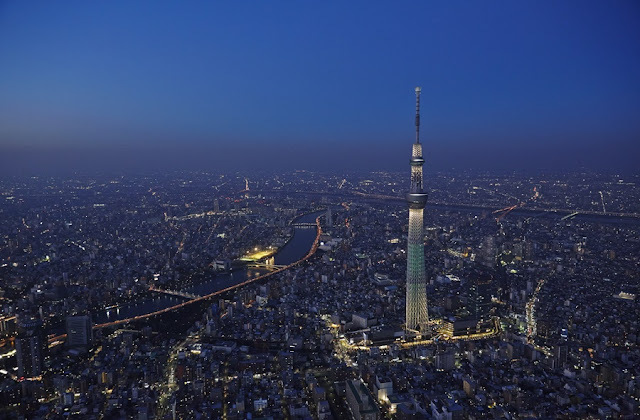 I'm definitely sure that Japan will be included in my travel bucket list this 2016. I'm inviting everyone to come and visit Tokyo this year as they have a lot of exciting things to offer this year.